THERE'S countless musicians who have hailed from Liverpool's streets but some rarely quite make such an impact as 47-year-old Edgar Jones. Climbing to notoriety as bassist and vocalist in The Stairs, Edgar has gone on to create some of the city's best material full of funk and soul. Last April saw the release of his long-awaited LP The Song Of Day and Night on Skeleton Key, his first new album in five years which also brought a new live line-up dubbed The New Joneses (feat. 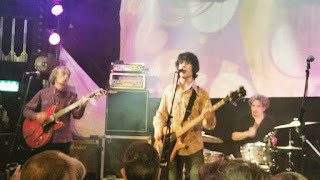 members of band Peach Fuzz) and toured with Hoylake based The Sundowners. "The album was brilliantly received, there was just a few faux pas that we never got to do like tour it a second time and release another single from it for one reason or another," Edgar told The Music Manual. Performing solo and full band shows across the UK, on this grey day Edgar reflected on what worked well with the LP, "I think for the way it turned out, 'Thinkin' Bout the Time' is really pleasing, I don’t know why I just really think I hit something right on that. "But sadly we didn’t get to do any more promotion on it later in the year, so we’re just moving on and getting a new album together. "It’s just a case of collaring studio dates and stuff like that, the music is written, it’s a case of making a shortlist from a long list - I think I know anyway, I mean sometimes when you get an album up and running it’ll surprise you." In an era when musicians are opting for their own fiercely independent labels, there's a sense of pride we feel listening to Edgar describe his relationship with Skeleton Key. "Skeleton Key is run by people who have started a label to do it themselves, it’s people who I have a musical admiration for. "I take stuff on board and with the last project it was taken to them complete. James (Skelly) just took one song off and added two others, changed the running order. "I’m always happy with a bit of interference because you do so much of it yourself it’s good to have someone go, here you are. "I’ve almost got used to the pace of the independent world. "A lot of the time you'll have material ready and you've just got to wait for the funding to be there to put it out or you’re in a place which is funding quite a lot of people, so you have to wait for your place on the schedule. "These kind of things tick over and it could be very frustrating if you weren’t in the rhythm of it but I’ve had 10 plus years of being independent and not getting major funding. "I mean, I had that with The Stairs but you know I’ve made my money working with other people and lost it on my material!" Throughout the last 20 years venues in Liverpool have taken a beating. The loss of the likes of The Kazimier, MelloMello, Korova, The Lomax and Static Gallery have hit the city hard but familiar faces are working hard to keep many of them thriving with the likes of Independent Venue Week (IVW). "Tony from the Zanzibar asked about The Stairs doing something for IVW but it wasn’t a possibility so I’m going to do it as a solo show. "I think the obvious venue that’s missed is The Kazimier the part of it that’s gone, it was late to the party but it got legendary status. "When I was a kid growing up I was always jealous of my brother who’d get these gig lists from a place called The Warehouse on Fleet Street and what was going there every month was just... ‘wow’. "I was only 12 and my brother had all the records and I know that I’m not old enough to have gone there but I’m gutted that I never got to. "I’m really glad the Zanzibar is still there, that was my stomping ground for many a year and it brought up a lot through the waves through The Bandwagon Club." Back in the early 2000's 'The Bandwagon Club' run by Gary Murphy and John Robinson from Scouse band The Bandits brought the likes of The Stands, Tramp Attack and The Coral to The Zanzibar's stage. Not to mention The Libertines and Noel Gallagher however the night disbanded in 2005 and has seen some minor revivals but nothing like the real thing. In the city these club nights are now few and far between, lacking the excitement. 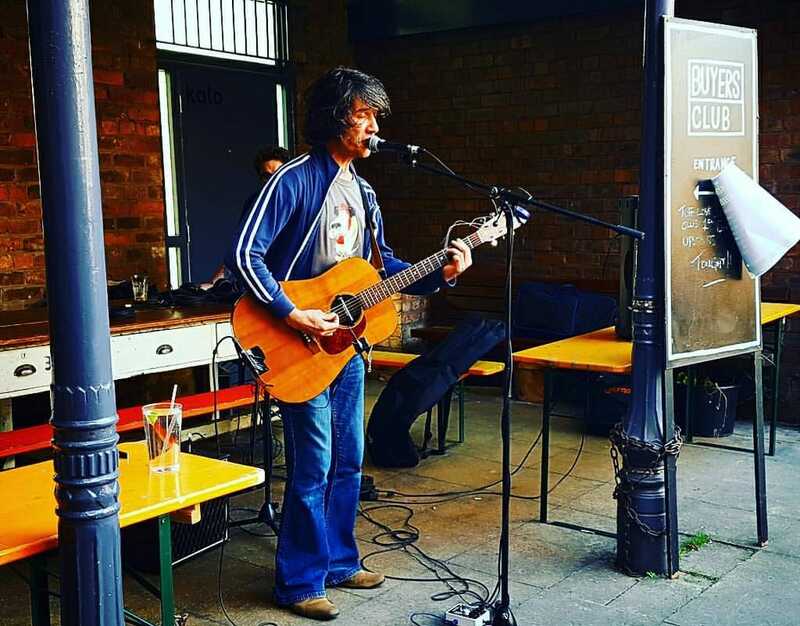 However there seems to be a club night pandemonium moving to the Baltic Triangle - somewhere Edgar mentioned he hadn't quite got the chance to visit some of the venues there the likes of 23 Kitchen Street and Constellations. He believes as a city we're crying out for a 'sweat box'. "There’s never been anywhere like, I think the Zanzibar is the closest to a Liverpool sweat box. "Heebies (Heebie Jeebies, Seel Street) could be like a sweat box and probably will be when Peach Fuzz play there at the end of the month! "There was a place in Hull called the Adelphi that I always used to love playing because it’s a low ceiling sweat box and I don’t know, I think they’re the most exciting places to see gigs and the Zanzi is the nearest we’ve got to one like. "The ceiling is probably just a little too high though, just need the ceiling to be a little lower than that to get the sweat dripping off it. "The music definitely hits your more direct, a band wouldn’t have an impact in an Arena. "Arena gigs are more a broadcasting of sound if you know what I mean, although it’s exciting for people and I can understand people can sell 20,000 tickets then they may as well if they come to town. "A lot of people at them shows will probably never know the difference and may have not been to a small gig and seen how great it is - they’re not missing out anyway..."
Moving on from venues to his dedicated cult following, we were sure Edgar must have had some horror fan stories to tell. "I’ve not had any weird fan experiences, I think I’ve been lucky and I’ve never needed to use the Hitchcock psycho soundtrack - you know what I mean! "Nothing like that has happened to me. "Maybe someone will take pity on me now and say 'ohh he’s never been freaked out, let’s freak him ouuuut'." After having stints as a bassist for Echo and The Bunnymen's Ian McCulloch, in 1990 Edgar joined forces with Ged Lynn and Paul Maguire to create The Stairs. Now recognised as shaping Liverpool music, The Stairs only released one album 'Mexican RnB' and a handful of EPs including 'Weed Bus' during their short lifetime which ended in 1994. Years down the line, there have been reunion shows which come as a delight to fans across the globe, more recently headlining The Butterfly’s Ball and The Grasshopper's Feast at The Kazimier in 2015 - they even debuted track '1000 Miles' which was based on a jam they messed about with during soundchecks. So what's next for Edgar Jones? A Stairs reunion? You're in luck. "We were giving The Stairs a bit of a rest for a while but I think it’s time we start doing it again. "It’s been a year since we last played together now and we just wanted to not overdo it. "There’ll be a lot of happy people out there. "I felt a bit of a minge-bag not doing any Stairs last year but it was a necessary evil, I apologise to all Stairs fans but it was necessary. "I am also going to do some dates with my band in the next few months and recording a new LP as and when we can. "We’ve started rehearsing it and half of it is in the live set anyway. "I’ve also joined a Bowie tribute this year and love the bones of doing that. "It’s quite refreshing the different responsibilities you’ll get from things, one day I’ll be playing bass and singing, sometimes just be singing by myself or with a band. It’s the variety which is nice. "I've been doing a few DJ sets in Newington Temple where they basically let me bring records down and play them. "It takes a DJ to understand what I’m saying, you’re very constricted to what you can play heavily and hugely but this is no constrictions whatsoever. 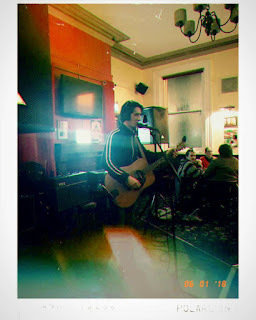 "So people always love it because they don’t go to a pub and hear that stuff normally and I warm up in The Ship on a Friday night and looking to get back and doing more at the night. "For new year’s we did Handyman’s on Smithdown, it was sold out and it went really well. "I haven’t done a night-time dance floor for about two years, so it was good to get back to it and realise I can do it – rather well." We're offering the chance for a lucky reader to win two tickets to see Edgar at the sell-out Independent Venue Week solo show courtesy of Mellowtone at Jacaranda Records on Wednesday, January 31 at 8pm. All you have to do is head over to Facebook and give our page and this post a like!